Alfred Hitchcock, Audrey Meadows, Les Tremayne et al. Jus Addis, Francis M. Cockrell, Hershel Daugherty et al. His earnest, appraising gaze and iconic profile are the stuff of Hollywood legend. His distinctive British voice sent chills down the spines of audiences around the globe. 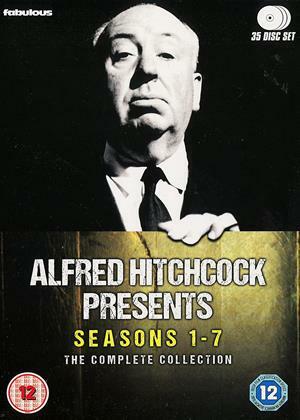 But find out what made Alfred Hitchcock the "Master of Suspense" as he introduces 38 tales of terror and intrigue in the following sixth season of his unforgettable TV series. Featuring such distinctive guest stars as Gena Rowlands (Peyton Place), Sydney Pollack (Tootsie), Ricardo Montalban (Star Trek ll: The Wrath of Khan), Barbara Bel Geddes (Dallas), Rip Torn (Men in Black 2), Claude Rains (Casablanca), Peter Falk (Columbo), Leslie Neilsen (The Naked Gun) and many more, it's a trip back to the very best of scripted television where every story hid a secret dying to be revealed. 8. O Youth and Beauty!